Easy way to make extra $ paper fragrance! Those paper fragrance pages in your magazines and Kohls and Macy’s inserts might be worth something. About 50¢ each for an 8×10. 25¢ each for the 5×5’s. On a well-planned whim (is that possible? 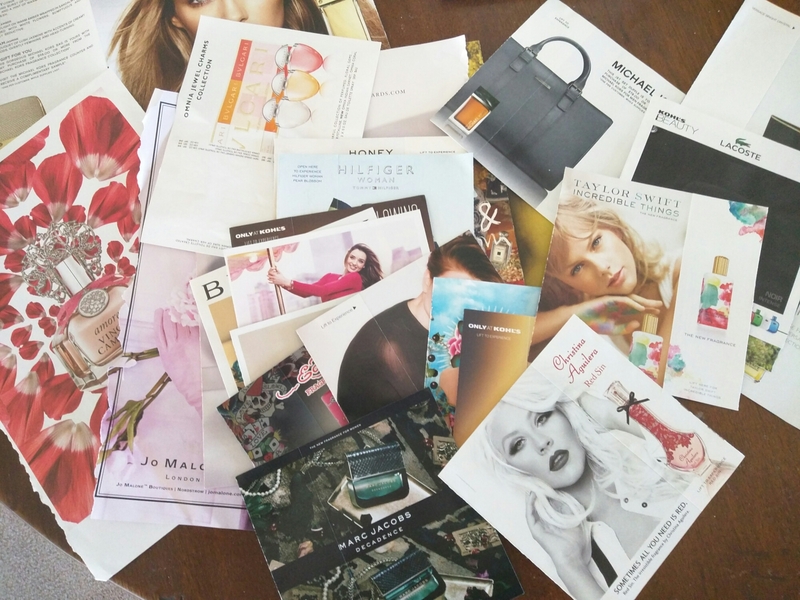 ), I photographed and posted 8 sheet lots or mega mini sized lots of paper samples and some Sephora samples on Tradesy. The first sale happened this morning. $5.00 for a mega mini collection of men’s paper cologne. Because I buy my magazines with coke points, these are free to me.